First Grade had a full week! 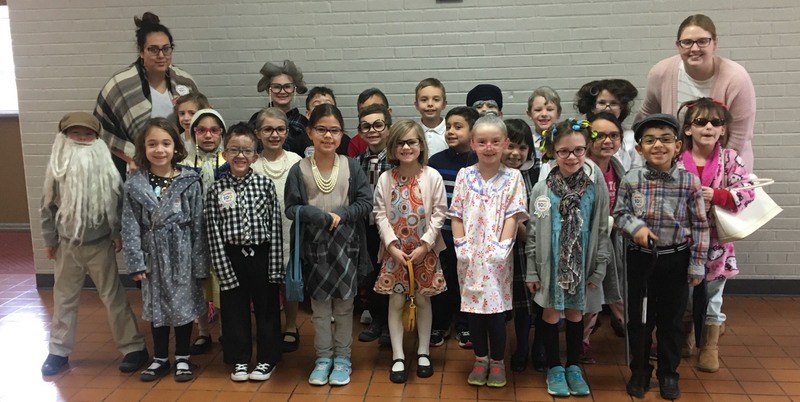 We celebrated the 100th Day of School! The students looked amazing as 100 year olds! This week we finished reading The Winners’ Choice and we discussed the sequencing of the story. We began writing a Narrative story. We finished chapter 7 in math and the students again are very proud of their hard work! We learned about ecosystems in science and how they are different. This week spelling words follow the <y> spelling pattern. This week we begin reading Hunter’s Money Jar and identifying each story element. We will work on consonant c/s/ and g/j/ sounds. We will continue to practice prepositions and begin to create complete sentences using them. In writing we will continue writing our Narrative assignment. Students will complete the steps of the writing process throughout the next few weeks. We will begin Chapter 8 which focuses on adding and subtracting two digit numbers. We will be testing on plants and animals and their environments. This week we will be reminded that God forgives us. We will learn more about the Sacrament of Penance and Reconciliation. 2/19 Ms. Gonzalez and Miss Payne’s Scholastic Orders Due! Thank you and have a wonderful weekend! Stay warm!